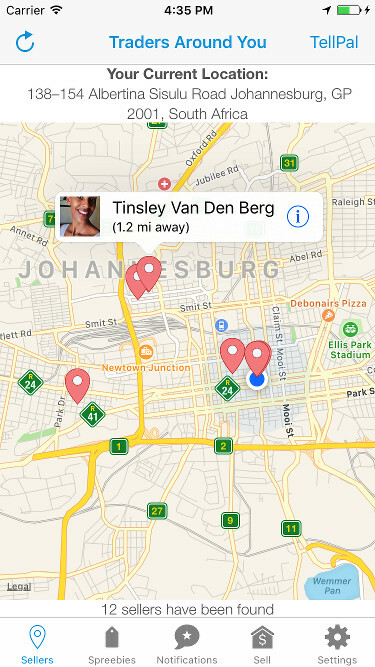 to NAVIGATE nearby customers towards you in REAL TIME or LOCATE products and sellers around you. 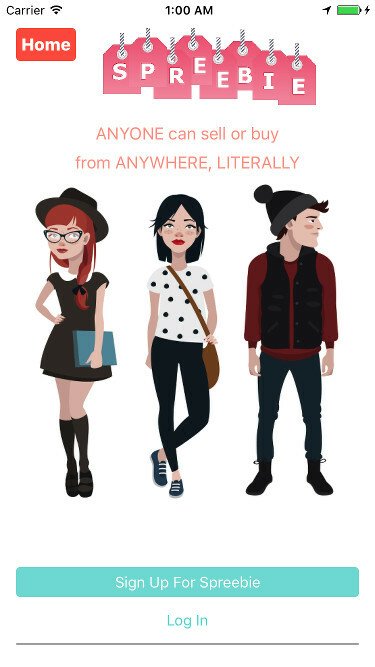 be it your college dorm, in a traditional retail store or even relaxing at the beach. 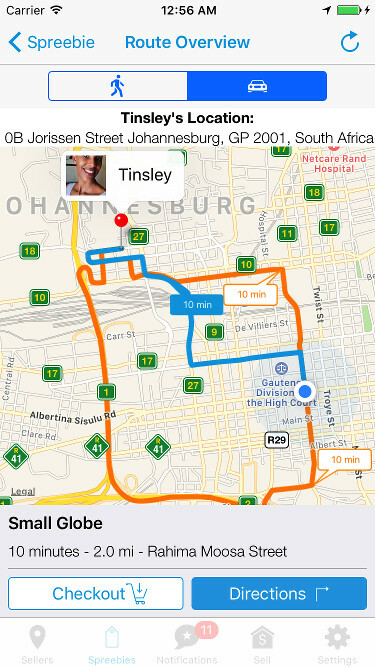 Spreebie is incredibly easy to use and navigate - a few minutes on the app is enough to fully get it. 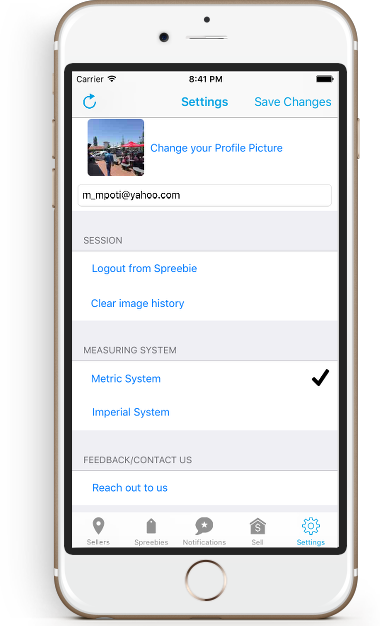 The Spreebie app is filled with informative alerts that guide you on how to use it. 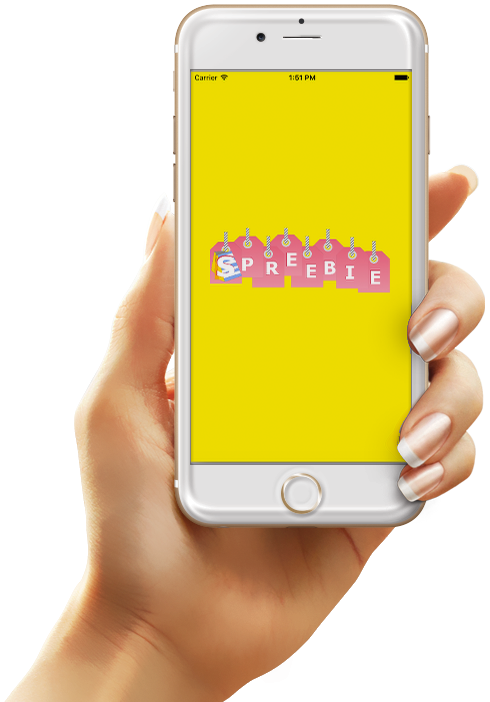 Spreebie has a functional design to emphasize its utility and make the focus the product and the meetup. This way, both sellers and buyers can get the maximum benefit. 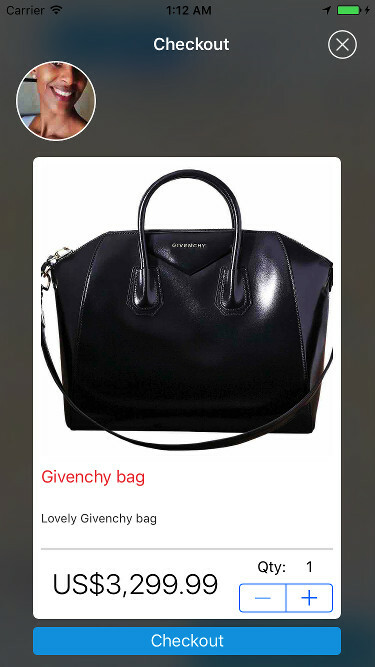 whose fundamental aim is to connect buyers with sellers and products. 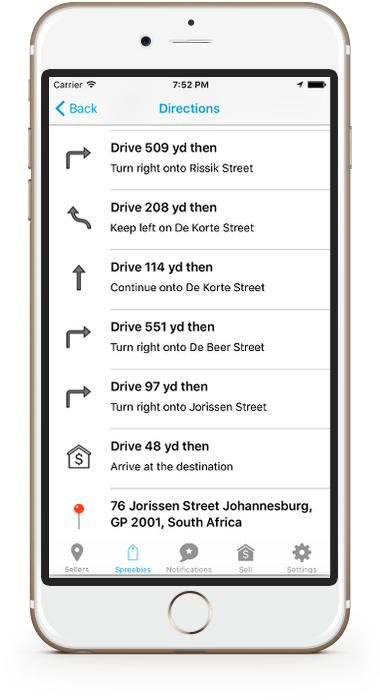 Spreebie offers you very accurate turn by turn directions to get you to the product you want no matter where it is located. 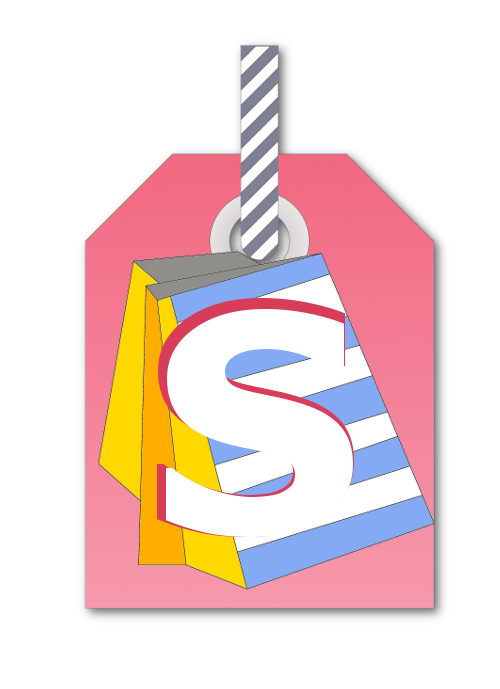 Through Spreebie, sellers can open their business virtually anywhere just by tapping a switch and their products will be immediately visible to customers in that area. 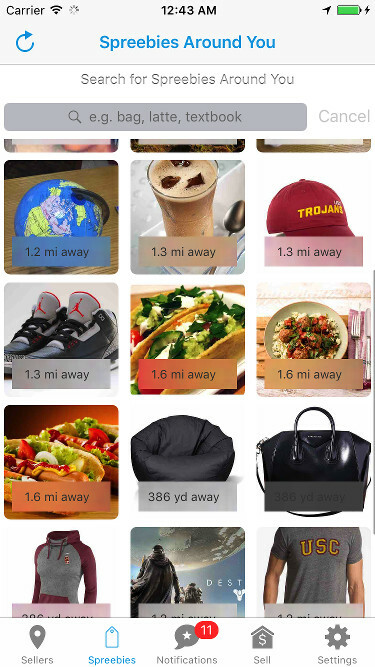 Spreebie is location centric so that you know about all the products that are available in your immediate radius. 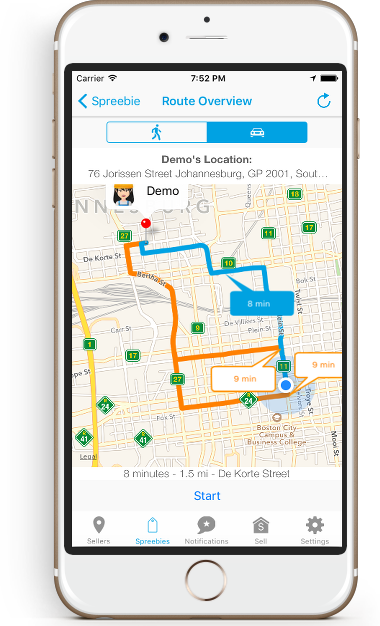 The Spreebie service provides excellent navigation services so that buyers and sellers will always get to meet physically. 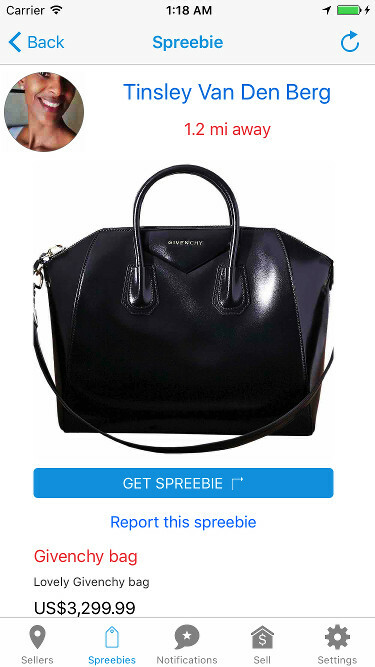 Spreebie provides push notifications to inform sellers when buyers are interested in their products. 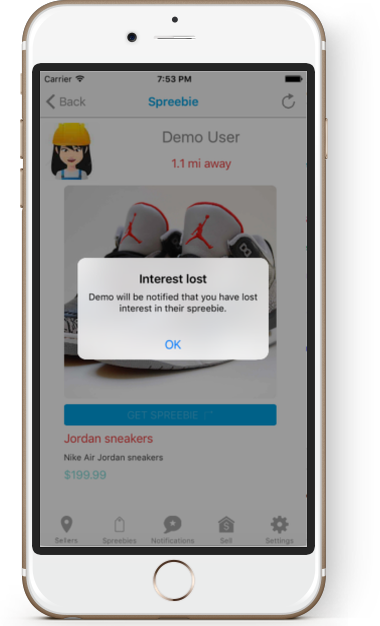 The seller is also notified if a customer loses interest in their product before the physical meetup. 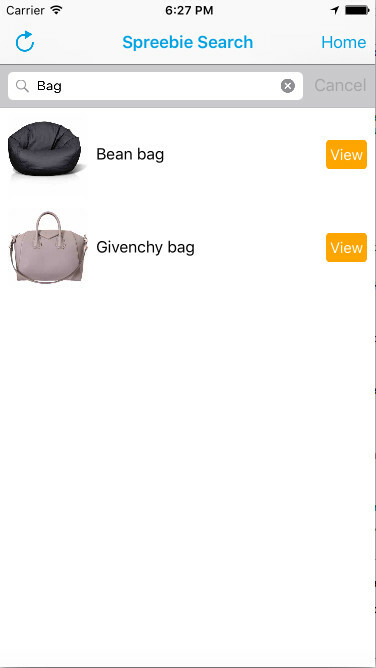 A notifications page exists to inform the seller about all interested buyers and their physical whereabouts on a map. 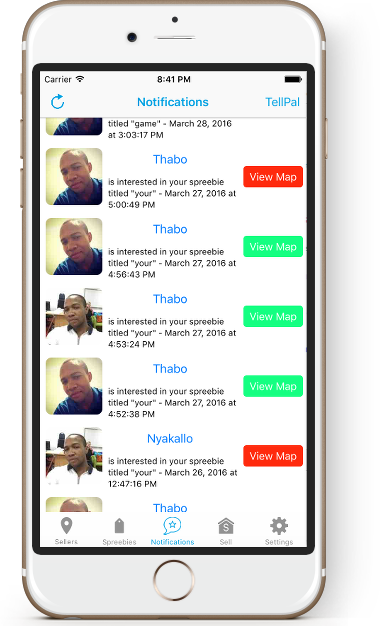 Spreebie exists to make sure that buyers and sellers can always find each other with the intention to trade.